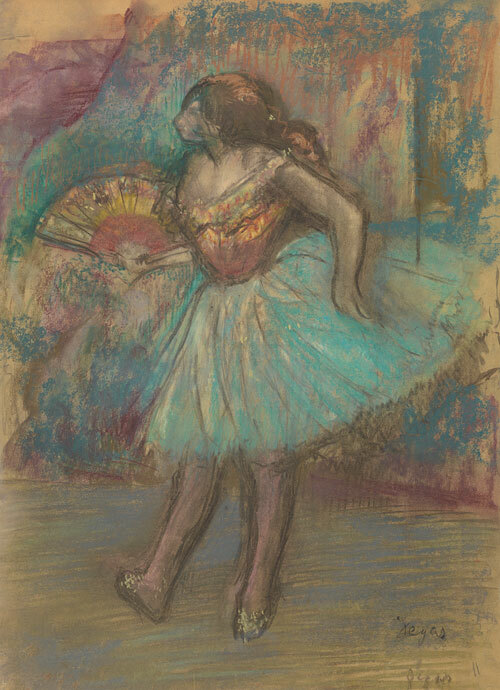 A pastel by Edgar Degas, Danseuse à l’éventail, formerly with Richard Green and now in a private collection, is on view in the Fitzwilliam Museum’s “Degas: a Passion for Perfection” (until 14 January). 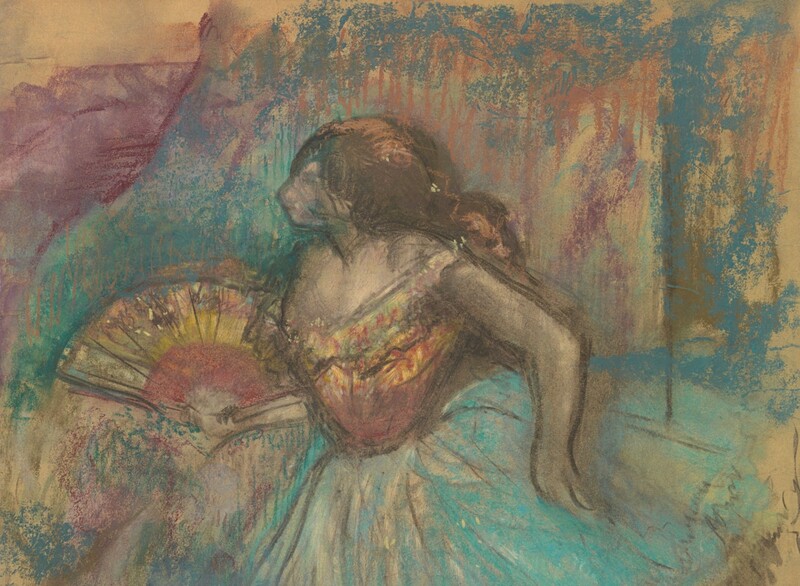 This magnificent show marks the centenary of Degas’s death and explores his radical innovations in every medium from pastel to wax and bronze sculpture. In pastel he found a vivid suppleness that pays homage to the ballet dancers that he loved to portray onstage and off.